As software developers dedicated to the mission of providing better care, we like to be in tune with the market and find inspiration in other like-minded companies offering innovative solutions to improve the quality and safety of care through technology. The following post briefly discusses four such solutions, listed in alphabetical order, that we are particularly fond of. Medisafe was launched after the company’s founders, Omri and Rotem Shor, nearly lost their father after he accidentally took an extra dose of insulin. Following this experience, the brothers learned that similar situations are common and often end tragically, with a medication non-adherence death occurring once every 4 minutes in the United States. The Medisafe app has helped millions of patients worldwide take their medication on time and as prescribed. 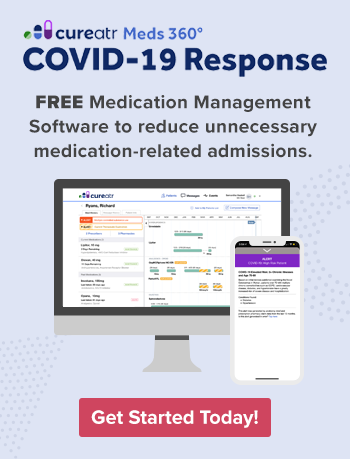 It features an attractive, easy-to-use interface that allows users to incorporate multiple pill schedules, reminds users to refill, and compares medication prices from surrounding pharmacies. The app also includes many impressive features, such as wearable device integration; iConnect, a pill bottle integration that automatically records when users take their meds by detecting when a pill bottle or sorter has been opened; and MedFriend, which allows family and friends to help users remember to take their medications. Medisafe states that MedFriend has contributed to a 17% improvement of reported adherence amongst its users. Medisafe has also developed a provider platform. Learn more about it here. Round Health, based out of San Francisco and founded by ex-Apple engineers, is similar to MediSafe. It organizes all of a user’s medications and vitamins in a simple, user-friendly app. And like Medisafe, it allows users to set up various schedules and doses, track their history to see when they did and didn’t take their medicine, and set refill reminders. It also allows users to set a specified window for patients to take their meds and will send persistent reminders throughout the window so users can take their meds when it's most convenient. Round also offers Round Bottle, an electronic medicine bottle that works seamlessly with the app and allows for automatic medication logging, performance tracking and insights, and caretaker notifications and alerts. Best of all, the bottle includes GPS tracking, so it knows when users are out of reach of their medications, features a removal sensor to detect tampering, and is recyclable. To learn more about the Round Health app, click here to read a full review. Based in Philadelphia, TrekIT is a comprehensive platform designed specifically for care coordination. The platform redesigns healthcare communication and workflow processes by integrating recommended practices and technology proven successful in other high-risk industries to reduce error. The platform also includes team-based task management functionality that helps improve clinical effectiveness. This reinvention of process seems to be working well, as TrekIT boasts that 86% of its users believe the app has enabled timelier clinical decisions within just a few weeks of use. What I find most interesting about TrekIT, and why I’ve included it on this list, is the company’s origin. 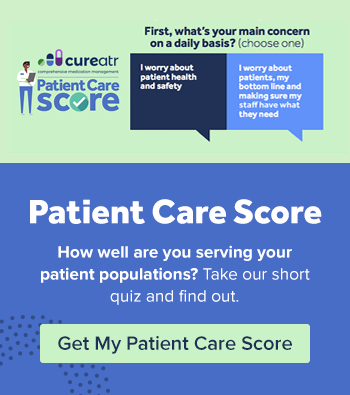 The platform was designed through an interdisciplinary collaboration with direct input from a wide range of users, including physicians, nurses, care managers, and clinical subject matter experts who strive to ensure that the app is easy to use and greatly appreciated by healthcare providers. Wellth is a health IT company based in Brooklyn, N.Y., that is tackling medication non-adherence for chronic disease patients. The company uses a creative combination of behavioral economics and technology to achieve better adherence, engagement, and health. Wellth's approach uses intrinsic and extrinsic motivators to change patient behaviors. Here’s how the app works: A patient is enrolled at a hospital using Wellth and offered an amount of money to take their medication for a specified amount of time (e.g., $150 for 90 days of adherence). Throughout the duration of the agreement, the patient is given a daily loss incentive on the original offer to take their medication (e.g., a $2 penalty applied to the original $150 for every day a patient does not take their medication). The patient verifies that they have taken their medication by snapping a picture of the medication in their hand using the Wellth app. After the duration of the agreement is complete, the patient is awarded the remainder of their original offer. Wellth states its model has helped clients reduce their readmission rates by 40% or more. For more information about the effectiveness of financial loss incentives, I recommend reading this study.